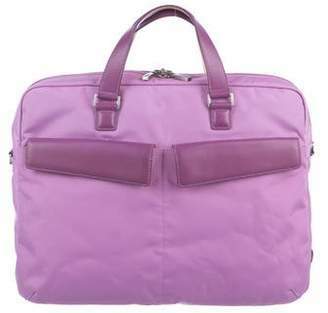 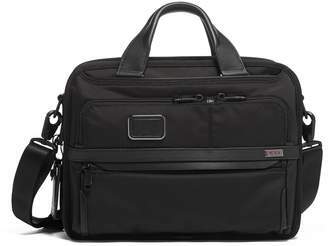 Made of ballistic nylon with leather trim. 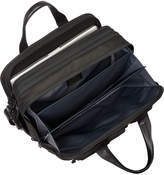 Exterior front U-zip pockets, waterproof pocket, front zip pockets, back zip and open pockets, Add-a-Bag sleeve, and removable/adjustable shoulder strap. 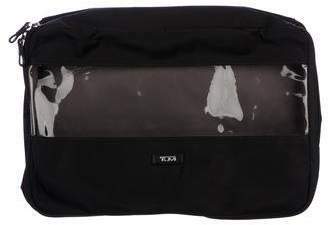 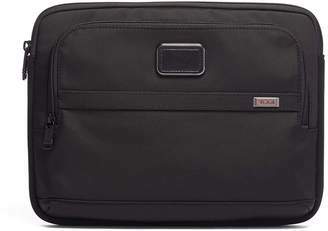 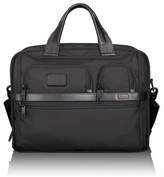 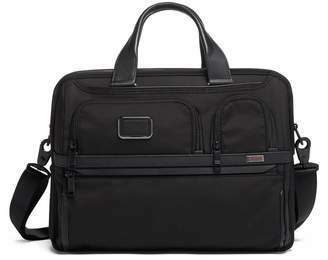 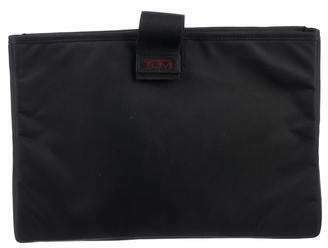 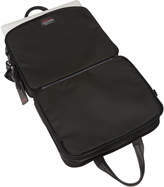 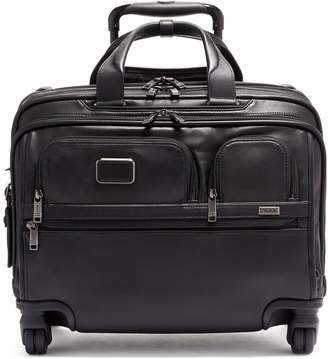 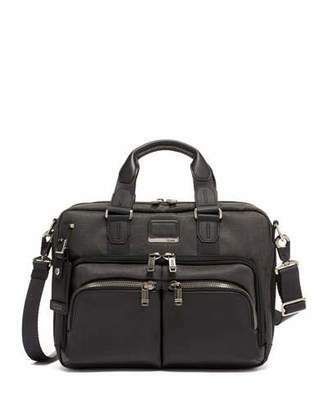 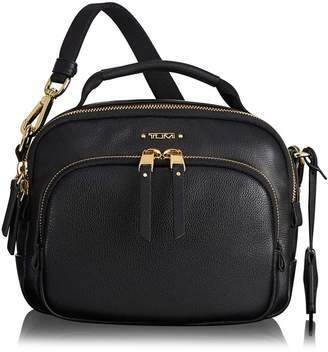 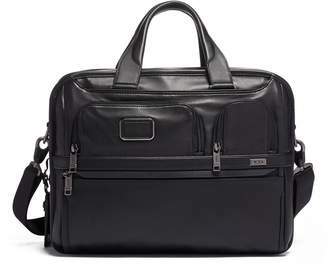 Internal padded laptop compartment, Tumi ID Lock zip pocket, file divider, open pockets, elastic pockets, card pockets, pen loops, and key leash. 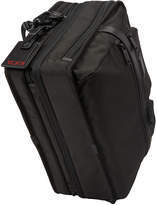 16"W x 5.5"D x 12"T; laptop compartment holds up to 15" laptop, 15"W x 1.75"D x 11.5"T Imported.